(a) The Judicial Branch may permit, in any civil, criminal, family, juvenile or other matter, the filing of any document or data that is required by law to be filed with the Superior Court or with a judge or judge trial referee thereof, including, but not limited to, a summons issued pursuant to section 51-164n, a complaint or a summons issued pursuant to section 54-1h, and an information filed pursuant to section 54-46, by computer or facsimile transmission or by employing other technology. 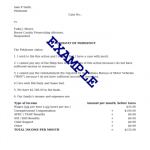 (b) For the purposes of this section, the judges of the Superior Court may prescribe alternative methods for the signing, subscribing or verifying by a person of any document or data that is required by law to be filed with the Superior Court or with a judge or judge trial referee thereof so that such document or data shall have the same validity and status as a paper document that was signed, subscribed or verified by such person. (c) Notwithstanding any other provision of the general statutes, the Chief Court Administrator may permit any payment that is required by law to be paid to the clerk of the Superior Court to be made by the use of any technology. The payor may be charged a service fee for any such payment. The service fee shall not exceed any charge by the service provider, including any discount rate. (d) Any notice, order, judgment, decision, decree, memorandum, ruling, opinion, mittimus or similar document that is issued by the Superior Court or by a judge, judge trial referee or family support magistrate thereof, by a magistrate appointed pursuant to section 51-193l or by a commissioner of the Superior Court approved by the Chief Court Administrator to hear small claims pursuant to section 52-549d, may be signed or verified by computer or facsimile transmission or by employing other technology in accordance with procedures and technical standards established by the Office of the Chief Court Administrator, and such notice, order, judgment, decision, decree, memorandum, ruling, opinion, mittimus or similar document shall have the same validity and status as a paper document that was signed or verified by the Superior Court or by a judge, judge trial referee or family support magistrate thereof, by a magistrate appointed pursuant to section 51-193l or by a commissioner of the Superior Court approved by the Chief Court Administrator to hear small claims pursuant to section 52-549d. (e) The judges of the Superior Court may adopt any rules they deem necessary to implement the provisions of this section and the Office of the Chief Court Administrator shall prescribe any forms required to implement such provisions.